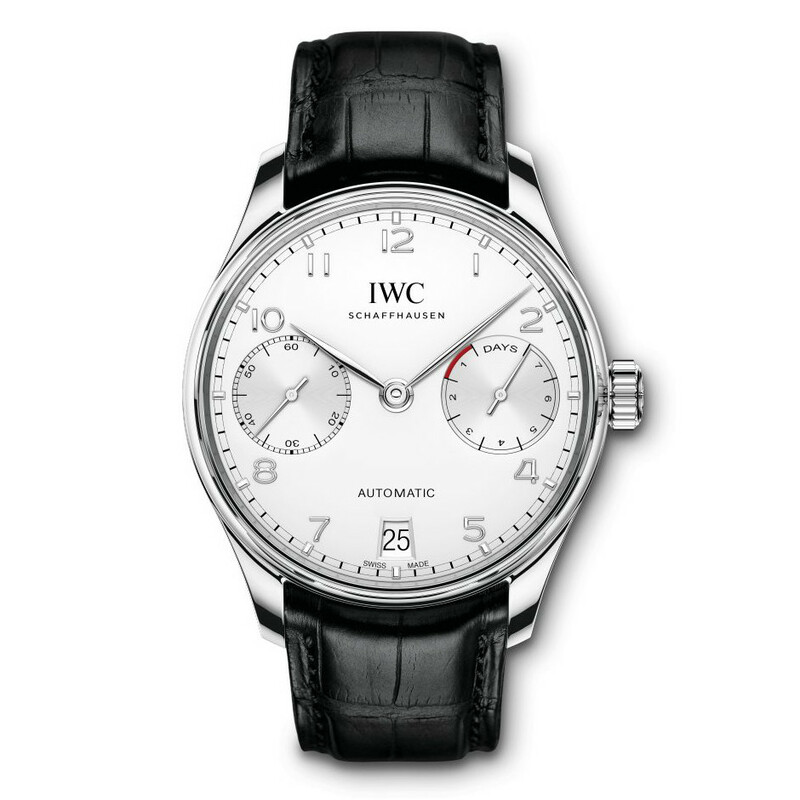 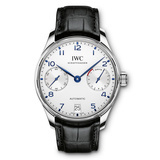 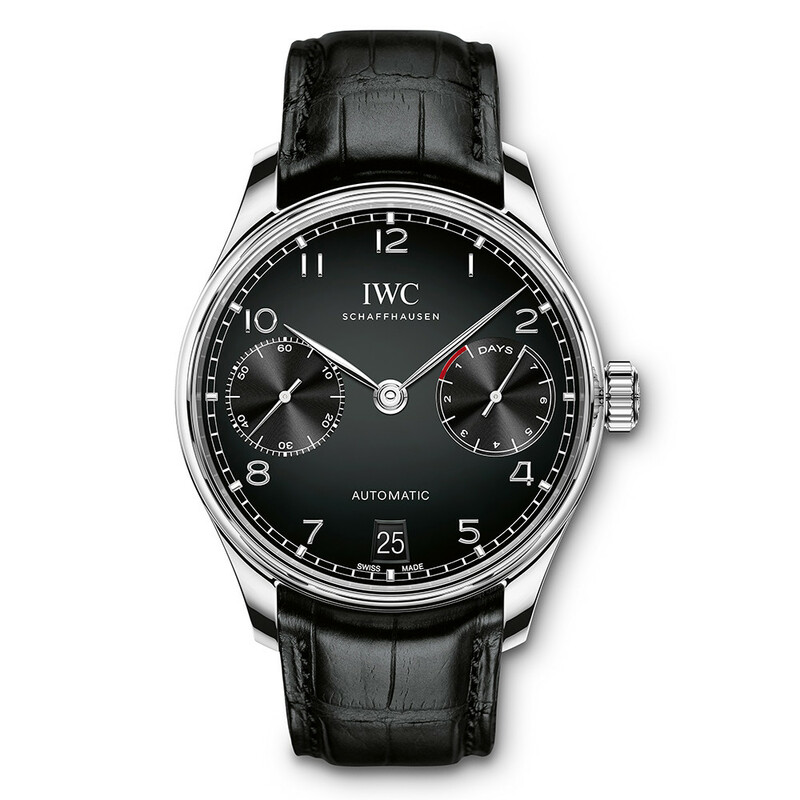 The IWC Portugieser Automatic (ref. IW500705) features the 52010 caliber mechanical automatic movement; silver-plated dial with blue hands & applied Arabic numerals; date aperture at 6 o'clock; 7-day power reserve display at 3 o'clock; small seconds subdial at 9 o'clock; sapphire-crystal, exhibition case back; and 42.3mm, stainless steel case on a black alligator strap with a stainless steel deployant clasp. 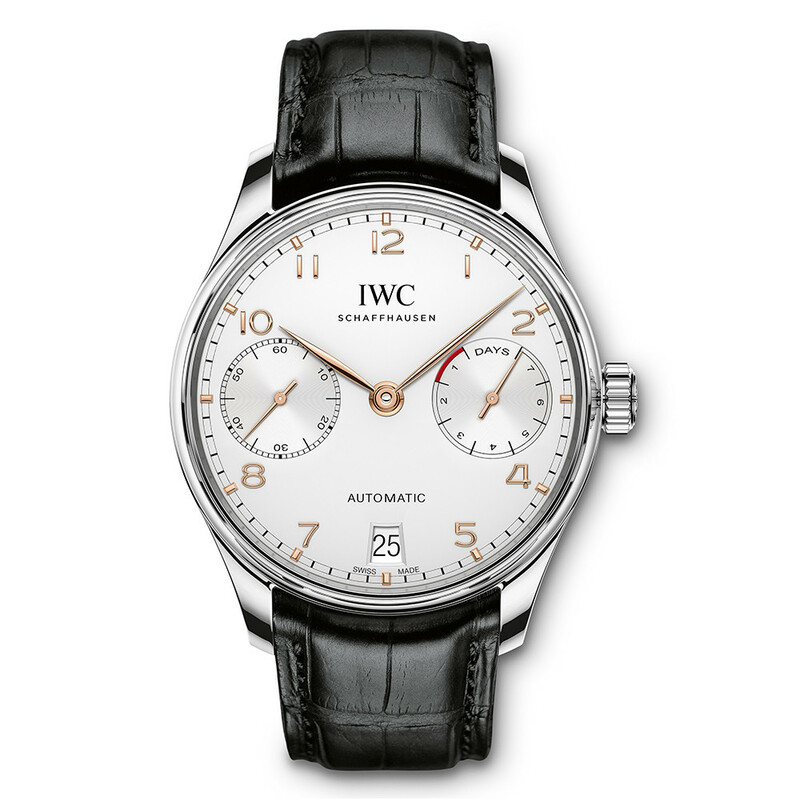 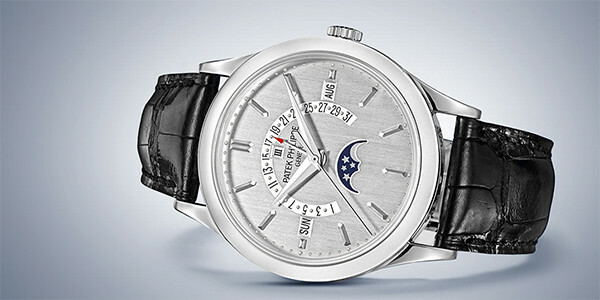 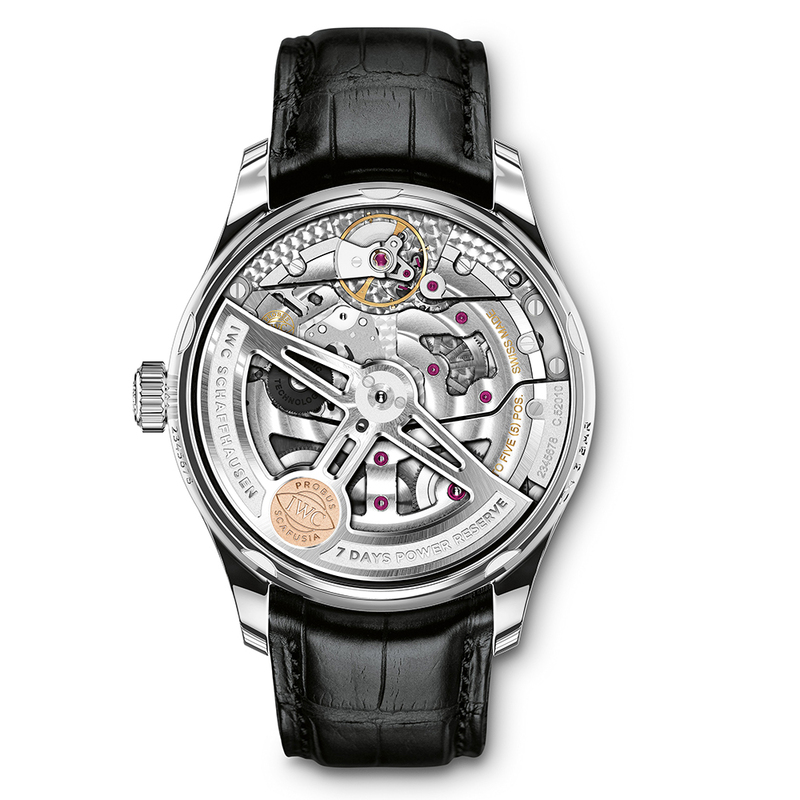 The Portugieser Automatic is equipped with an IWC-manufactured movement from the new 52000-calibre family. 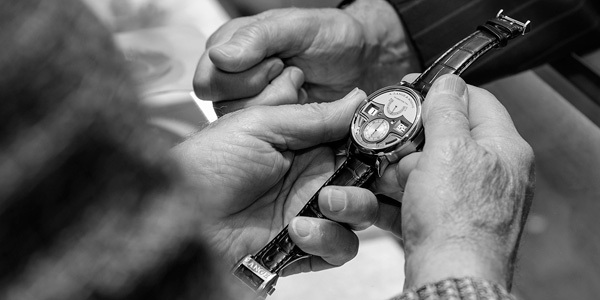 The legendary Pellaton winding system has been further improved: the pawls, automatic wheel and rotor bearing are now made of extremely wear-resistant ceramic; and instead of one there are now two barrels, which build up an impressive 7-day power reserve.